This is the second of a two-part transcript from a recent interview with Tom Dale of Ember.js. In part one we discussed the history and direction of the Ember.js project. Continuing the discussion of the future for Ember.js, this post includes the rest of the interview, primarily focused on the Glimmer.js project. Some of the questions were omitted from these transcriptions for brevity, so we’re also releasing the nearly hour long audio file of the entire interview. Enjoy! Jonan: Let’s talk about Glimmer 2. If I understand correctly it's released now and it entirely supplants Ember. So how are you planning to gracefully sunset the project? 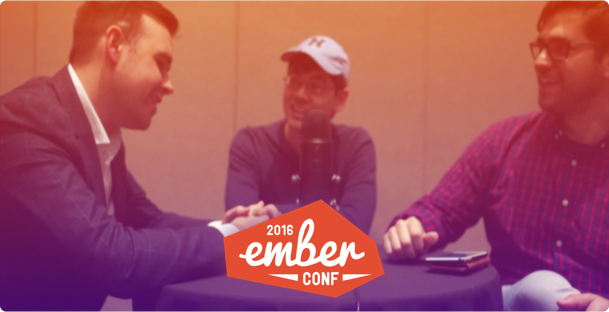 At EmberConf Terence Lee and I had a chance to sit down with Tom Dale and chat about the history of Ember.js and where it’s headed now, including some details on the newly extracted Glimmer.js rendering engine. This post details a lot of the history of Ember, including some of the motivation that led the framework to what it is today. Watch the blog for the second portion of this interview with all of the details on Glimmer.js. The next post will also include the full audio of the interview, with many questions we opted to omit from the transcription to save valuable bytes. [sigh] Yeah. Yeah, I think that's fair. Yeah. Sure. Why not? Let's go with that. A lot of other frameworks, take this approach of bringing web technologies and dropping them into native experiences - React Native being the prime example. It seems that Ember wants to bring back the glory days for web technologies - is that right?